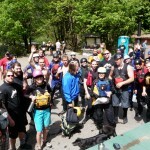 Great raft racing from the Pacific Northwest this past weekend at the Upper Clackamas Whitewater Festival! View results and photos HERE. Upper Clackamas Whitewater Festival this weekend outside of Portland, OR! The US National Cup will take place within the event structure of the Upper Clackamas Whitewater Festival (UCWWF). Registration, timing, and results will be done separately from the UCWWF by USRA race officials. The 2010 US National Cup is essentially a dress rehearsal to prepare local coordinators to host the R6 National Championships in 2011. subprime category youll Visit the Official 2010 UCWWF Event site here. Download the 2010 UCWWF Event Schedule here.